Multifamily & Apartment Financial Intermediaries. Refinance or purchase your apartment building or commercial property. Access the highest leverage, lowest rates, and longest amortizations on the market today. Multifamily.loans leverages thousands of relationships across the United States with banks, life insurance companies, hedge funds, private equity groups, conduit lenders for CMBS loans, GSAs like Fannie and Freddie, and others to build the perfect apartment financing vehicles for you—our borrower (or our borrower's representative). There are so many factors involved in choosing the ideal loan, including terms (interest only, amortization schedules, and more), rates, fees, recourse, leverage, assumability, prepayment requirements, subordinate financing, lock-out periods, carve-outs, and much more. Most lenders have their own requirements and standard structures—and that's it; there's very limited flexibility. This means that when dealing with a bank or a banker, or even your local mortgage broker, you have to make your deal fit into their niche, instead of finding the lender that builds their business for opportunities just like yours. You are limiting your options to their strengths, instead of leveraging the strengths of your loan opportunity with the appropriate lender in your niche. What one lender may call a one-off deal, another may call a perfect fit. There's no way for a borrower to have the same level of access to capital markets, and the same relationships, as the expert group of advisors at Multifamily.loans. It's simply not feasible unless you have built a department that specializes in it, that has evolved along with the market for the last 10 years, and that continues to research and evolve every day. Markets fluctuate; capital ebbs and flows. Align yourself with a partner who understands the business inside and out, and wants to understand your deal and everything about it. Welcome to the multifamily lending revolution: Multifamily Lending Evolved. Call us today at (800) 567-9631. Multifamily.Loans is proud to be a part of the Janover Ventures family. Janover Ventures is a highly-experienced, hands-on, capital markets advisory firm with nearly two decades of expertise sourcing debt for multifamily and commercial properties across the United States. Founder and CEO Blake Janover explains how our firm doesn't simply broker loans-- it advises borrowers on every part of the CRE investment process, from acquisition to disposition. Most importantly, however, we help make every part of a loan work for our clients, including terms, amortizations, interest rates, prepayment penalties, and more. At Janover Ventures, we put the power back in our clients' hands, by increasing their knowledge and advocating for them during every stage of the process. Try typing something like "non-recourse" or "Fannie Mae." First tranche was delivered prior to entitlement, GMP contract or senior loan commitment. Structure setup with IRR hurdles and as a 90/10 with the developer responsible for only 10% of the total equity (not capitalization) requirement. Bridge Loan Terms. Bank Pricing. Construction lending is on the rise. HUD is aiding in the growth of the affordable housing market while cities like New York are aching for more ultra-luxury properties as their median condo prices soar to record heights. With traditional residential lending opening up again and condos being sold as primary residences, multifamily construction is again an opportunity. 2008 CMBS loans were coming due in 2018, and international capital markets have a (once again) growing appetite for commercial mortgage-backed securities. With competitiveness on the rise, traditional 10-year, non-recourse CMBS loans are an important opportunity to explore in the search for the best financing options for your apartment buildings across the country. Bridge lending did not disappear. It's a very real commodity that property owners across the globe need. Although bridge financing became trickier after the collapse of lending institutions across the globe in recent years, there are still competitive solutions and they aren't all as expensive as some may assume. With the right relationships and structure, bridge loans are once again available. 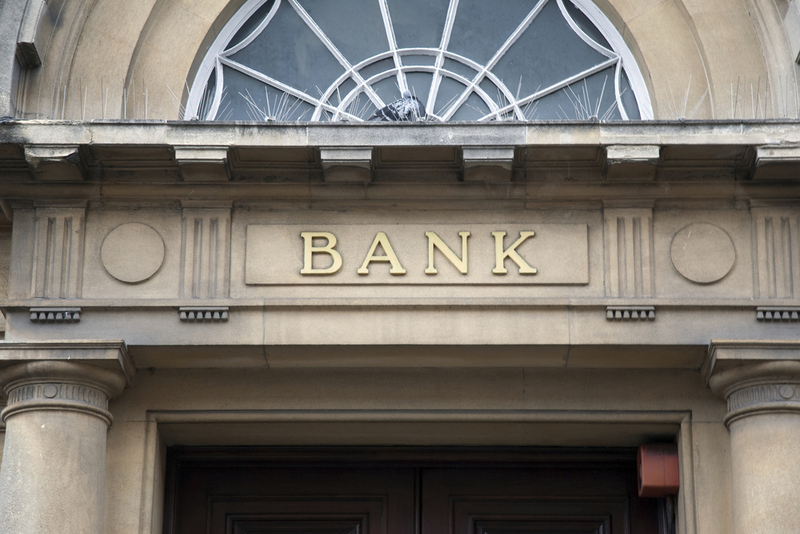 Traditional bank loans are not a thing of the past, but walking into your local bank for a loan is. As banking institutions compete to allocate their capital into the multifamily market, each bank has its own niche and its own strengths and weaknesses. Every multifamily loan needs to be treated as the unique opportunity that it is, and placed with its correct match of a bank, GSA, life company, or conduit lender. Sometimes, a loan doesn't fit into a traditional scenario. Although the days of 110% LTV loans are behind us, this doesn't mean that complex finance is. Whether you're buying multifamily land and need a mezzanine loan on top of your bridge piece, or you are seeking preferred equity to shore up a deal, Multifamily.loans may very well have the answer (and funding) that you're looking for. From LPs to JVs, we know creativity. Don't let your local bank or mortgage broker push you into a loan without knowing all your options. … and we don't earn any money until you close. Your privacy is 100% guaranteed, and Multifamily.loans will never share your information without your consent. View our apartment and commercial property lending options in your state. Visit our Florida Apartment Loans page for additional information on multifamily lending in Florida.